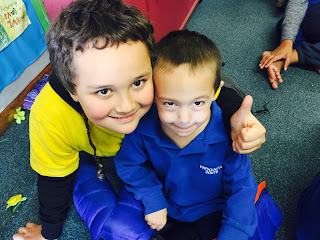 For concept this term we have been learning that we are all on a learning journey, learning with and from each other and also we are all on this learning waka, we need to paddle together. From everyone in Room 24. KEEP UP THE GOOD WORK!!!! Wow room 13! What fabulous learning you have done already! I agree with you Trey, I alway believe that we need to help each other to become better learners! Just like what Anshika said about asking others to help our learning. That makes us better learners and better teachers. Im so happy to hear what you think Toaemotu that the Code of Conduct helps guide you in the right direction!! Keep up the fabulous work room 13! thank you for your nice message we really appreciate it. Missing you all also! I am really excited about coming in and seeing all the amazing learning that is happening. I really like all the comments about how you can help each other when learning gets hard. Never ever give up ... you can do it!!! I hope you enjoyed the Water Sports last Friday. Did Miss Hamid go down the slide?? I hope you took some photos to put on your blog. Wow! Room13 your waka looks amazing. I am very impressed with the paddles and the inspiring messages that you have written on them. Keep up the good work. Such thoughtful comments Room 13, you have a great looking concept wall.